FAME is a hit….read all about it! ALT’s FAME the Musical is a hit. Don’t miss out on your chance to be apart of this high energy production. We still have tickets available for tonight’s show at 7:30pm, as well as Sunday at 2:00pm. Tickets have been going fast, so call the Box Office for tickets ASAP! Don’t forget, ALT season subscribers receive a $2 discount on FAME tickets. 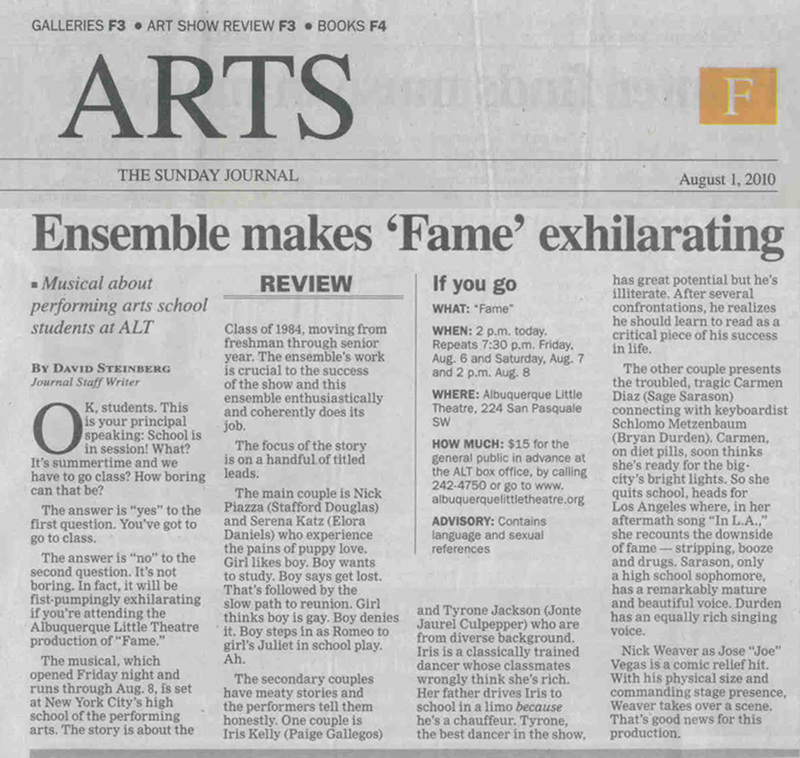 Congrats to the cast of FAME on their rave review in the ABQ Journal!